The dog days of August are coming to an end. The August 2017 Condo Association News caps off a hot month in the Association world. There were so many good stories, it was hard to pick what to run with. This month hit three of the most controversial topics in both society and Community associations. Service animals, legalized marijuana, and short term rentals. Your condo association prohibits pets, but you need a ‘comfort’ animal. What do you do? A comfort Turkey can fly on a plane, but can it live in your Association? This is a great and timely article on the issue of “comfort” vs. “service” animals. The “comfort animal” issue is one that is affecting numerous aspects of life in the United States. While service animals – which have very specific laws around them – are clearly understood by all, the issue of “comfort animals” has been bedeviling. 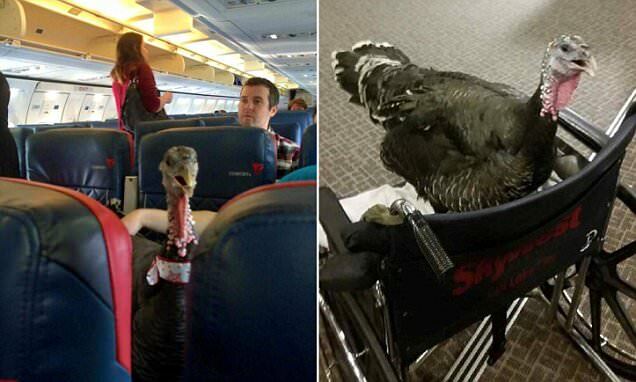 The comfort animal issue hit peak crazy when a turkey flew on Delta last year under this auspice. As captured in the article, the issue of comfort animals is tricky, in that all it takes to receive a diagnosis is around $99 on the internet. Despite this lack of regulation, a Condo Association could still be found violating the Fair Housing Act for denying such an animal to an Owner. This is a fantastic read for Board members and Management who are likely to face this issue. The article provides good guidance on how a Board could approach the issue. I would also add that a Board should absolutely consult with their own legal counsel before making any decisions on this issue. Local case law is evolving, and you want to make sure you’ve got all the facts before you make a decision. A very thoughtful legal post by Mark Einhorn with a legal perspective from Massachusetts on short-term rentals. Massachusetts is not as far along as Michigan or Florida in deciding whether the state will ban or permit short-term rentals, but their legislature is in the process of discussing the issue. The article does a nice job capturing some of the recent legal rulings around the permissibility of short-term rentals related to residential or commercial use laws. It also captures what Associations need to do in order to ban rentals, and it provides some actionable information about regulating rentals. The bottom line is your Association needs to think about relevant policies that might apply. This is a must-read article for those who are worried about short-term rentals in their community. 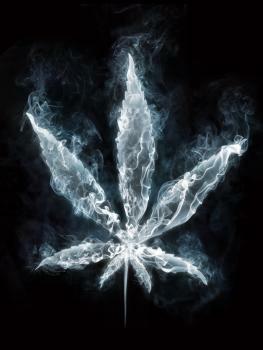 Marijuana smoke is a joy for some, a plague for others. A couple with a young son have been dealing with the penetration of marijuana smoke into their unit for over five years, and are intensely frustrated with the situation. This is an article that captures numerous challenges of Condo living. First, it shows the impact of marijuana within an Association. Next, it shows how persistent issues can be difficult to resolve. The Condo Association did, in fact, repair the defective wall upon receiving the original complaint and obtained a court order against the neighbor who was smoking – which is the right thing to do. But the issue persisted, according to the Owner. The head of the property management firm with the Condo notes that they cannot force the smoking neighbor out. However, a big failure of the Condo was to create smoking rules. Such rules could allow them to fine and hopefully correct the behavior. The property management company also notes that the Canadian federal legalization of marijuana will further complicate matters. This is an extremely challenging issue all around. Owners deserve a right to enjoy their property, but at the same time Associations can be challenged with what authorities they can enforce. It is surprising the Owner in this case has not yet lawyered up. While not an ideal route, when an issue stretches this long and is of such concern, it may merit escalating the situation appropriately. That’s all for the August 2017 Condo Association News! Did you know that you can get even more news articles by signing up for our mailing list? Mailing list subscribers get monthly bonus news stories and analysis. Join the list today!